Design : This boat is perfect for couples or parents with a child or two. 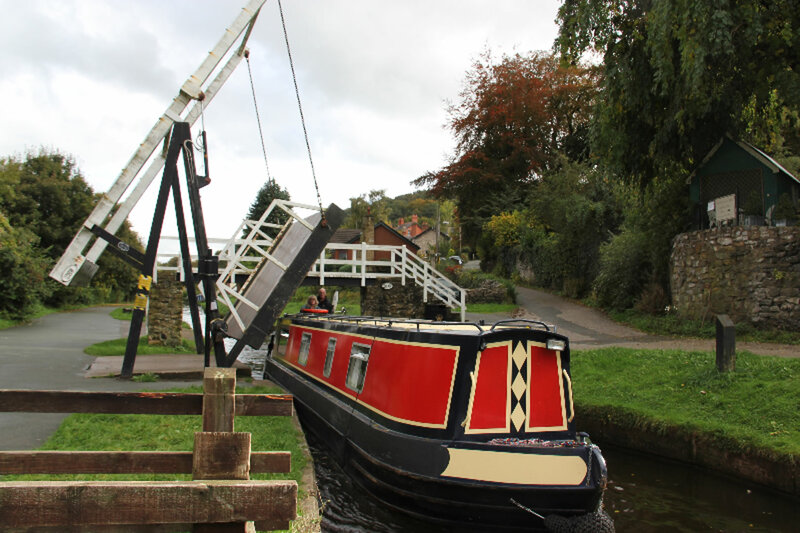 The Lady Sophia narrowboat is a 45 foot Cruiser stern 4 berth narrowboat with easy to use controls. It has a 600 litre stainless steel water tank. Features : There is full radiator heating on board. A water tank supplies the hot and cold running water. 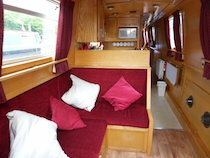 The cabin is carpeted and the boat has many home comforts. 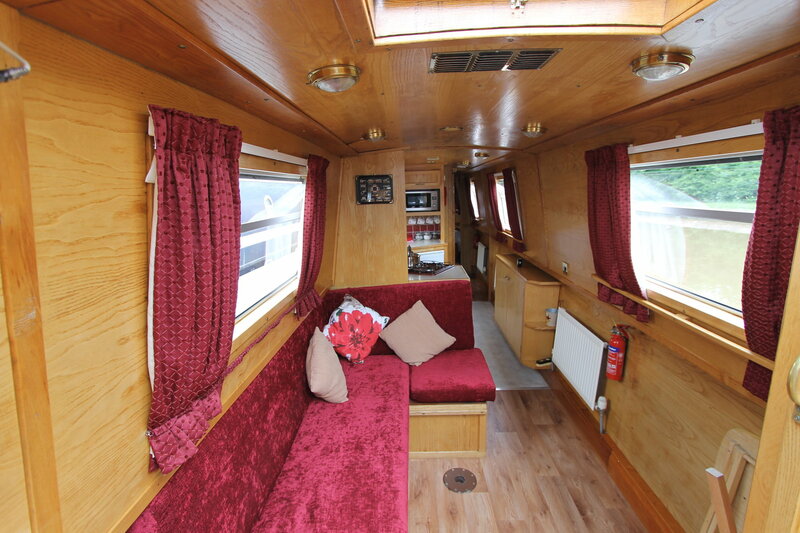 The cruiser stern is large enough to comfortably accommodate 4 people whilst cruising. Saloon : There is a rear saloon with seating which can be used as a make-up double bed. Please note that this is an industry standard 4ft wide double bed. The saloon has a removable dining table, colour flat screen digital TV/DVD player, Freeview and a radio/CD player that plays throughout the boat. 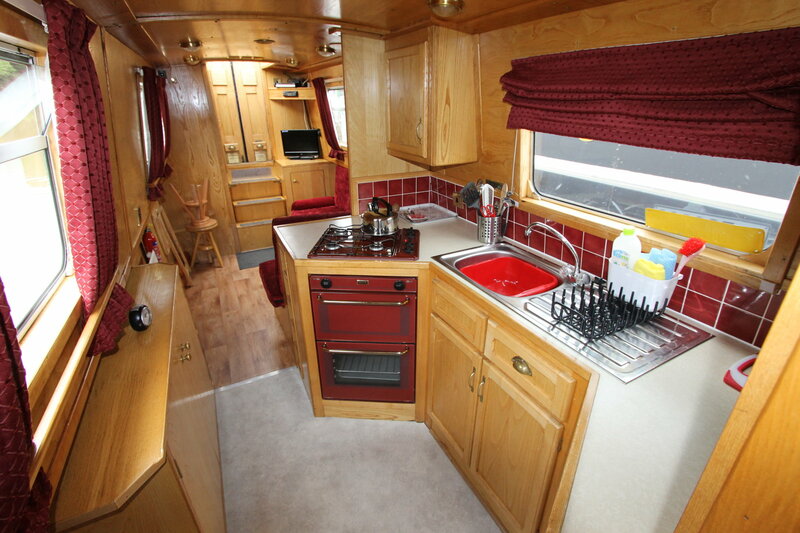 Kitchen : Fully-equipped galley with 4 ring cooker, oven & grill and Microwave. Electric fridge with freezer compartment. Cutlery, crockery, saucepans and cooking utensils are provided. 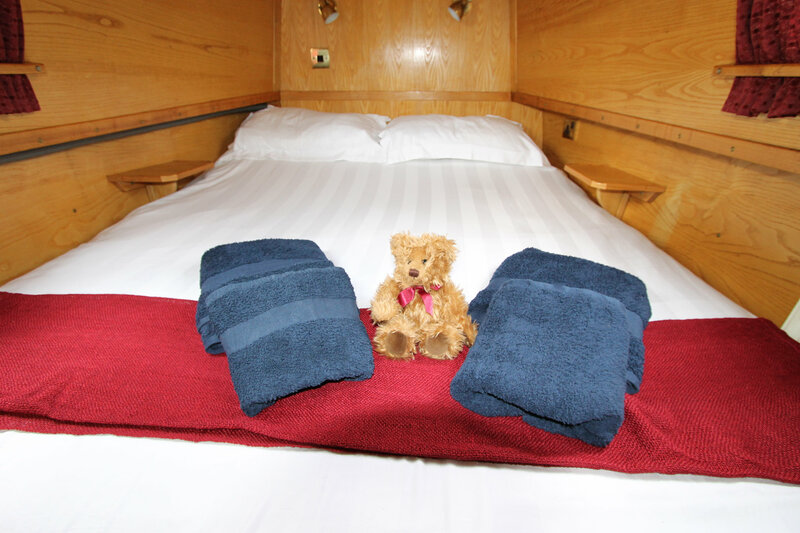 Berths : In the Bow cabin which is carpeted , there is a king sized bed ( 6'3" x 5'3") with 9" thick "Coolmax" memory foam mattress and . TV in cabin. Bedding : Egyptian cotton bed linen and as many pillows as you wish (additional pillows can be provided on request). 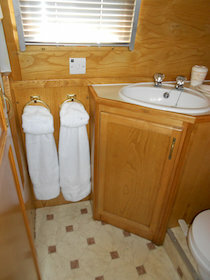 Also fluffy bath and hand towels are provided for every person on board. 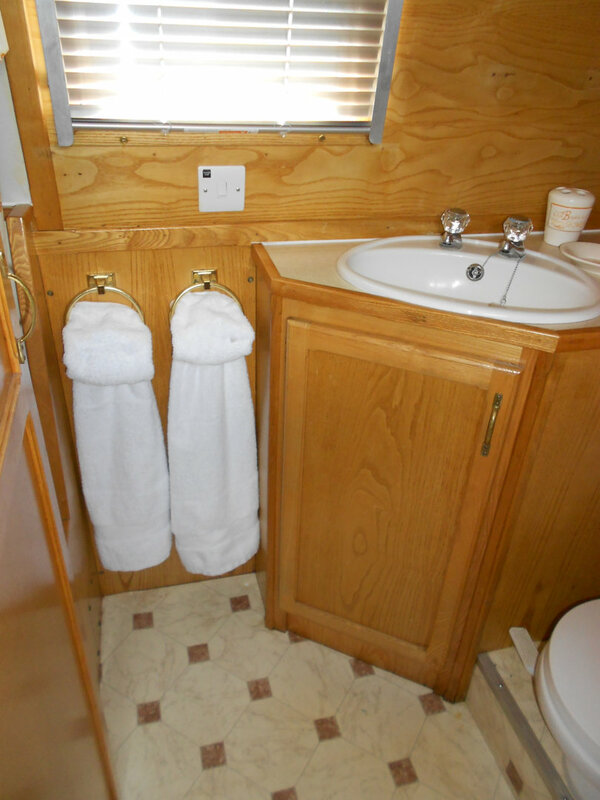 Bathroom : There is a flush toilet, wash basin, cupboard and full size shower in the bathroom. Welcome Pack : T-towels, washing-up liquid and cleaning materials are also on-board as well as waste bin, replacement liners, and the welcome pack comprising tea, coffee, sugar, milk, and some snacks. There is a presentation of condiments and sauces, preserves and butter to help you settle in as well as a 5 litre bottle of drinking water. Additional Information: Nicholson's map guide books provided for your selected route .Tuition and life jackets are supplied free of charge. You can arrange a supermarket delivery if you wish. We can also pick you up from Poynton or Middlewood train station by arrangement. Prices quoted include : Basic hire charge, damage waiver, 1 bottle of gas, fuel, boat/lock training.